The staff of the head office in Brussels is a small but efficient team which focuses its efforts on representing the interests of the European Historic Houses. An experienced businessman and passionate about built cultural heritage, Alfonso Pallavicini was elected as the president of the European Historic Houses Association in 2018. He is a true European: he was born in Italy into a Hungarian-Italian family, lived in Austria and France, and currently lives in Belgium with his family. 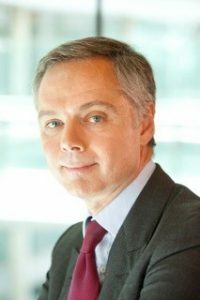 After a long career in Investment Banking, he left BNP Paribas as Head of Europe and then moved into private equity to Belgium and Luxembourg. 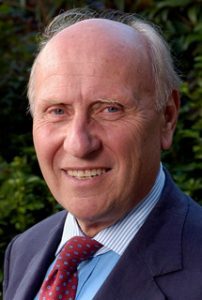 He serves on several boards as non-executive director. Mr. Pallavicini does not only own a historic house, but also has helped in restructuring and reviewing different private heritage houses` business models. A senior expert of European decision-making, Wenceslas de Lobkowicz has been appointed as Vice-President of the European Historic Houses in 2018. He has served over thirty-eight years in the European Commission in several directorate generals and units. Most lately, up until 2016, he worked in the Directorate General for Enlargement as Head of Unit of “Information and inter-institutional relations”. Currently, he is a lecturer of European Policy at the Sciences Po Paris and IEP of Lille. Mr de Lobkowicz has also great experience with historic houses, as he owns one in France. William Cartwright has started and managed a number of SMEs during his career. Following three years developing the UK NextGen programme for Historic Houses (UK), in 2013 William was charged by the European Historic Houses Association with developing a NextGen programme more widely across Europe. Over the past five years, he has built a network of NextGen groups at national level, established key relationships with high-level advisors, and organised international conferences, sharing of best practice and innovation in the management of historic houses. 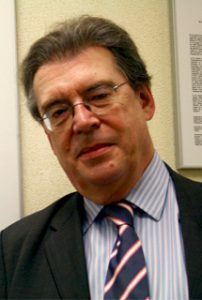 William sits on the National Tax Committee for Historic Houses (UK) and is also a trustee of the British Pilgrimage Trust. Born in Belgium, Count Rodolphe de Looz-Corswarem started up at the age of 26 by setting up its own family SME. For 25 years, he has worked as an association management CEO representing major industrial confederation in Europe and international organisations. He is a member of the board of many organisations such as a medical research foundation, rural SMEs interests, international business representations, etc. He studied language and economics in Cambridge and completed an MBA at HEC Paris. Delphine Dupeux has been working for for the European Historic Houses Association since 2009. She also works for European Landowners` Organisation as a Policy Officer in European Affairs. Prior to joining the European Historic Houses, she worked for one year to the United Nation in Geneva. She studied International and European law at the University of Nijmegen in the Netherlands and at the Sorbonne University in Paris. 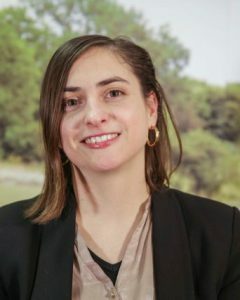 International relations and cultural heritage expert, Lucie Maret has been with the European Historic Houses Association since 2017 as a project and communication officer, handling the project ‘Heritage Houses for Europe’. Previously, she interned at the International Council of Museums Department of Programmes and Partnerships. Her education took place at several universities in France and in the United States, including the IEP of Lyon and the University of Virginia.